Janet Maslin’s statement has the ring of truth. 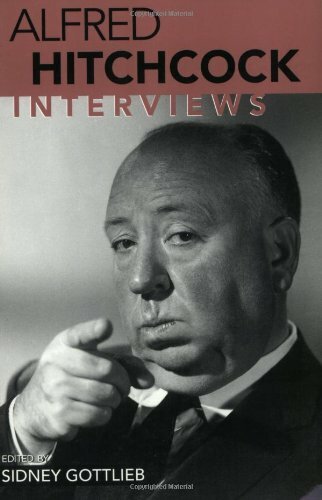 Hitchcock had even developed a repertoire of standard answers to feed journalists. Of course, certain interviewers caught the director in a more articulate frame of mind than others would. Journalists certainly didn’t make this difficult for Hitchcock. Why should Hitchcock have to provide original answers if journalists weren’t willing to provide original questions? Luckily, Sidney Gottlieb’s collection of interviews provides readers with some rare nuggets of information. Many of the interviews were from the 1970s (a period not covered by the Truffaut book). This isn’t to say that some of these selections don’t tread the same territory as Truffaut’s book. Actually, there are moments of repetition within the 20 interviews in this volume. One simply doesn’t mind the repetition. These pages are filled with information that is of enormous use to scholars, but the conversations are so engaging that it also serves as a fun source of entertainment for those of us that still read. There should certainly be enough room for this volume on any cinemaphile’s bookshelf.